The Republicans can only win by stealing elections and threatening people, some of them are supported by the Russians and their puppet Trump. Seems like a simple request that should have been honored voluntarily, without the need to go to court to force compliance. Harris County says there is no voter fraud. You’d think they would be eager to demonstrate how they ensure the integrity of the voting system. 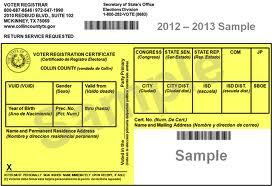 In fact, disclosing how they do that would be helpful for other voting districts that might need help in that area. If someone asks me about something that I’m doing well at, why wouldn’t I be happy to share that information with them? Don’t we support transparency in government? Why are they harassing Harris County? The state maintains voter registration rolls. Security 101 is that you don’t discuss your security measures with anyone who doesn’t have a verified good reason to know – and particularly randos who pop up asking a bunch of questions based upon their claimed investigation of suspicion of suspicious activity. That’s a really good point that I had not considered. You are right…the fish rots from the head first. We need to talk the Secretary of State of Texas about this. Look at the name of the secretary…Rolando Pablos…that doesn’t sound like he is an anglo. And Trump is right…how can we trust a Mexican-American.